Windsor Palms Resort and Wyndham Palms Resort are the same, they changed names a few years back. The resort is a Guard gated community with over 500 rental condos, townhouses and pool villas sitting on over 200 acres with views of conservation. 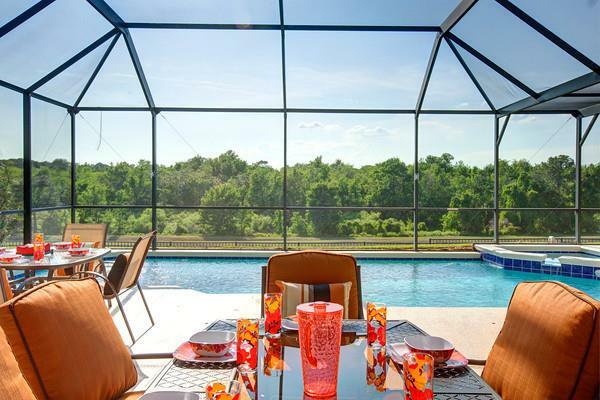 It has basketball, tennis, 1 large heated pool, 1 playground and is located 3.5 miles from the Walt Disney World Entrance. The clubhouse has a sauna, Tiki Bar serving drinks and finger food, fitness center, spas, games room, media room, 46 seat theatre room and free Wifi inside the clubhouse and pool area. This is a top resort near Disney, as a crow flies it is less than 2.5 miles from Animal Kingdom. Shuttle service provided at Windsor Palms during the busy periods of the year, UBER is widely used to go to Orlando Theme Parks. Please look below to see homes for sale in this community, they range from 2 bedroom condos to 3 bedroom pool homes up to 6 bedrooms set up to rent right away to vacationers or to live in fulltime or to be used as a second home. Most of these units for sale are being sold fully furnished and some come with rental bookings and monies going to the new owners if agreed. Jane and Alan LaFrance are the leading Realtors in WP selling, they would be happy to share their expertise with you on buying the right investment property in this resort or any other. 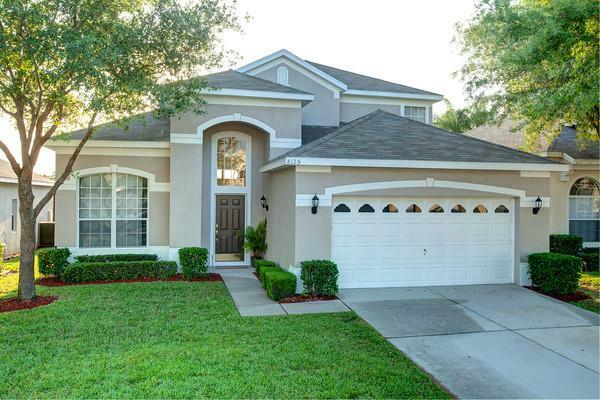 Mickey Homes site has over 443 homes for sale in Kissimmee FL with Swimming Pool to look at and choose from on the search button above. Jane LaFrance your Kissimmee Real Estate Agent. Some Popular Street names you may recognize in this community are Fan Palm Way, Sun Palm Drive, King Palm Circle and condos on Princess Palm. Highlights - Games Room, 2 Ground Floor Master Bedrooms, PS2, South Facing Pool & Spa, Wireless Internet, Flat Screen TVs in all Bedrooms, Blue Ray & DVD Players. Highlights - Games Room, 2 Ground Floor Master Bedrooms, South West Facing Pool, No Rear Neighbors, Wireless Internet, X-BOX, Flat Screen TVs in all Bedrooms, DVD Player. Highlights - Games Room with Pool Table, Foosball and Air Hockey, Free WIFI, South Facing Pool & Spa, Recently Updated, Cable TV in all Bedrooms, DVD Player. 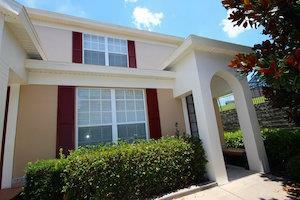 Located in a Guard Gated Resort less than 4 Miles from Disney World. Highlights - Guard Gated Resort, PS2, Games Room eith Pool Table, Air Hockey & Foosball, Swimming Pool with Spa, Wireless Internet, Cable, TVs & DVD in all Bedrooms. Highlights - Conservation View From Screened in Porch, Ground Floor No Stairs, Wireless Internet, Premium Cable, TVs in All Bedrooms, Blue Ray & DVD, Recently Updated. 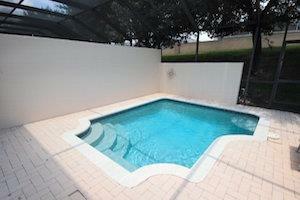 Would you like more information about any of the Homes for Sale in Windsor Palms? Please contact us using the form below or call Jane on 407-436-2130 or Alan on 407-492-7254.